Free Historic Walking Tours start this Saturday, April 6, 2013 in participating cities and towns across Alabama. The hour-long tours will be April 6, 13, 20 and 27 and begin at 10 am. 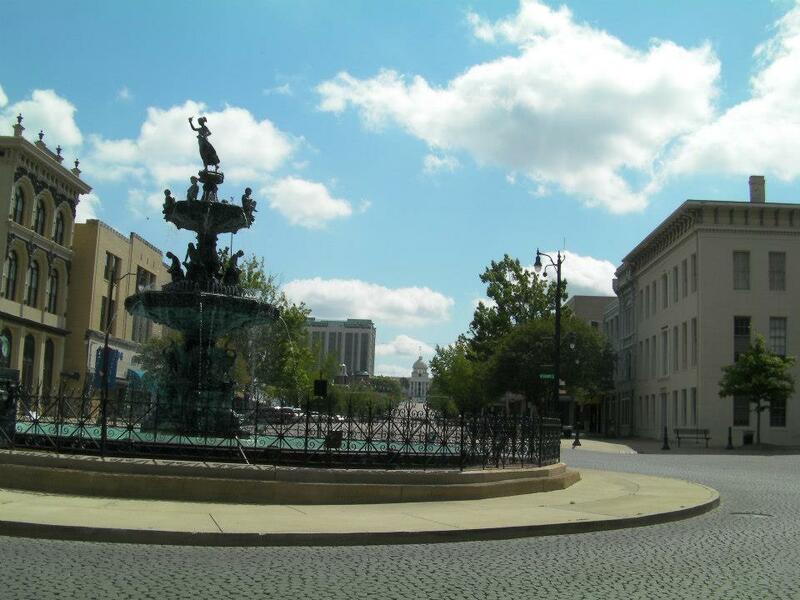 Prattville tours will meet at the Prattaugan Museum where each participant will recieve a water bottle to fill up from the artesian well behind the museum. One tour will focus on residential history while one will teach about the city's commercial history. Two others will cover the history of the Old Prattvillage and Creek Walk. Wetumpka tours begin and end at the Elmore County Museum on South Main Street in downtown Wetumkpa. Refreshments will be served at the museum following each week's tour. For tours of other cities check here. We went on the Montgomery tour last year and it was a nice, interesting walk around downtown. This is my kind of thing and if I wasn't almost 8 months pregnant with twins I assure you I would be out there. I would love to do the tour of Prattville or Wetumpka, too. Hopefully, the weather will be nice. Don't forget your sunscreen and some water!